Guests visiting Magic Kingdom in the morning will soon have another option for the most important meal of the day as The Plaza Restaurant will begin serving breakfast this November. 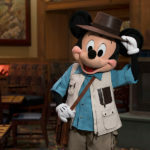 The Plaza Restaurant will begin serving breakfast items including, eggs, bacon, sausage, Lobster Benedict, and of course those delicious Mickey waffles. This new breakfast offering is currently expected to be available for a limited time, with reservations open for November 4 through January 5. The Plaza Restaurant is located at the end of Main Street, U.S.A.
Breakfast will be served from 7:45 AM to 10:30 AM. Reservations for breakfast at The Plaza Restaurant can be made online here or by calling 407-WDW-DINE. Funko has announced a Disney Theme Park exclusive Haunted Mansion Pop! Rides! coming soon to both Walt Disney World and Disneyland Resort. 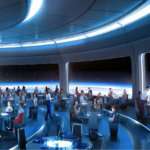 Disney announced some exciting new additions coming to all four Walt Disney World parks in 2019. Walt Disney World announced the new “Up Close With Rhinos” tours at Disney’s Animal Kingdom. 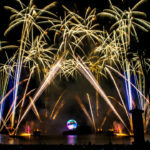 A new nighttime fireworks show has been announced to replace “IllumiNations: Reflections of Earth ” at Epcot in the second half of 2019.